Join Us at “Best of the North” 2013! Home » Blog » Join Us at “Best of the North” 2013! We can’t wait to meet you at the 2013 “Best of the North” Celebration and Judging on October 3rd! We are very excited to announce that Statements in Hair is a finalist in two categories in the 2013 “Best of the North” contest sponsored by Cincy Magazine! Pam Brooks is a finalist in the Master Stylist category and the Salon is a finalist in the Best Manicure/Pedicure category. Thanks to all of you who nominated or voted for Pam at last year’s “Best of the North” party. She won the Master Stylist category! And now we have the opportunity to participate in this fabulous event. 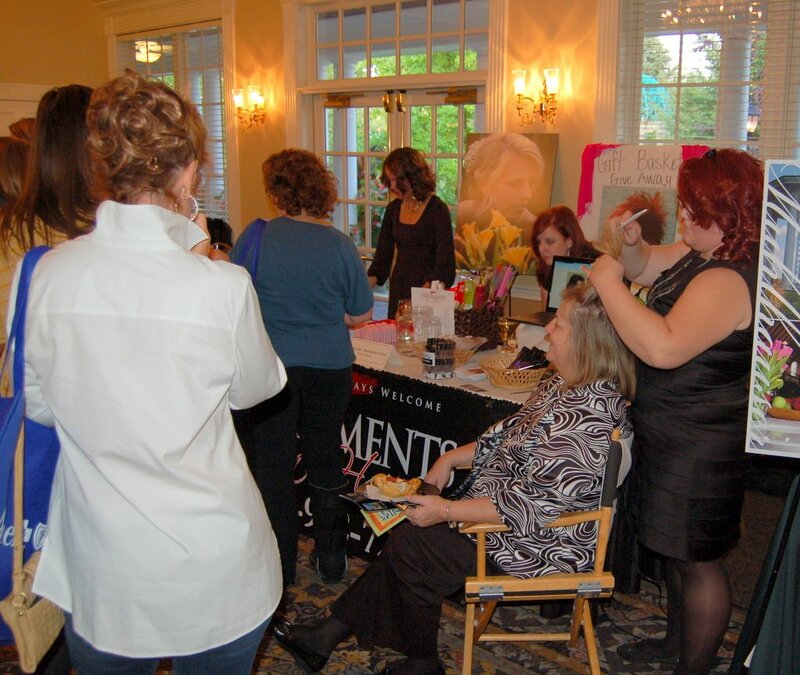 Last year we met so many fascinating and fun folks; you stopped by our booth for a blow out or style, to pick up free samples of some of our favorite products or asked us questions about style, trends and what we do. One of the beautiful women who stopped by for a free styling last year. But that’s not all! Oh, no! There were dozens of “Best of the North” categories and all of them passed out give-away’s. Oh, and then there was the food – from filet mignon to pancakes made right in front of you. Please note: If you come, come hungry!! 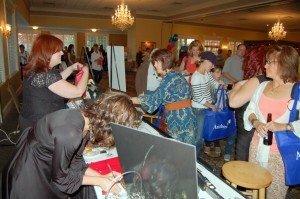 We’re already planning our booths for this year’s October 3rd event at the Manor House, so check the blog and Facebook for details as they develop! Oh yes, we’re going to outdo ourselves! If you have any questions, feel free to email RobynCareyAllgeyer@gmail.com. Thank you! The line at our booth at last year’s Best of the North! Hundreds of Cincy Magazine readers weighed in on their top picks for the best places to eat, shop, and have fun in Northern Cincinnati. Now its your turn to join the fun and decide who comes out on top. Admission is $20.00 in advance ($25.00 at the door) and includes two drink tickets, sampling of food and products from the Best of the North finalists, and a ballot to vote for the businesses you love most. Returning as emcee this year is Amanda Orlando, Actor at the Macaroni & Joe Show, Television host at Cincinnality, and On-air Host at Cumulus Broadcasting.